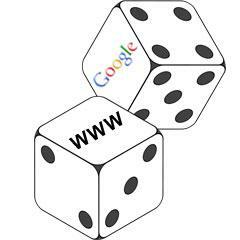 Google's Next Target: Keyword Rich Domain Names? It should come to no surprise of readers of this site that Google and Matt Cutts next target will be domain names ranking too well on the merit of the keywords being in the domain name. We covered several times already on how well keyword match domain names rank in the Google search results. We also documented that Google's Matt Cutts said he would look at keyword match domains while giving a presentation at PubCon. Now if you are still on the fence, let me just give you a bit of color. that we have looked at the rankings and the weights that we give to keyword domains, & some people have complained that we are giving a little too much weight for keywords in domains. So we have been thinking about at adjusting that mix a bit and sort of turning the knob down within the algorithm, so that given 2 different domains it wouldn't necessarily help you as much to have a domain name with a bunch of keywords in it.